VOLUNTEERS SOUGHT: Interested in getting new bike riders out on the road? 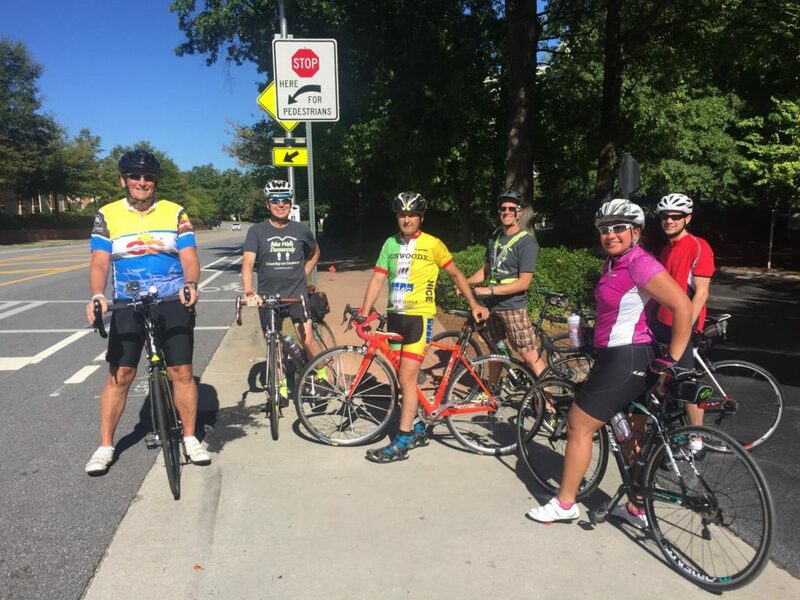 We’re considering starting up a weekly BEGINNER road bike ride in Dunwoody, and we’re looking for a few good people to step forward to help lead this effort. Looking at possibly doing it on a Wednesday evening. 15 or so miles, at a 12-15 mph avg. No drop, sweep, all ride together. Help new folks learn how to ride on the road, be confident and “street smart”. And, to start riding around on our bike lane & multi-use trail network, too! Never fear, the ride will include post-ride social at a local watering hole, too.